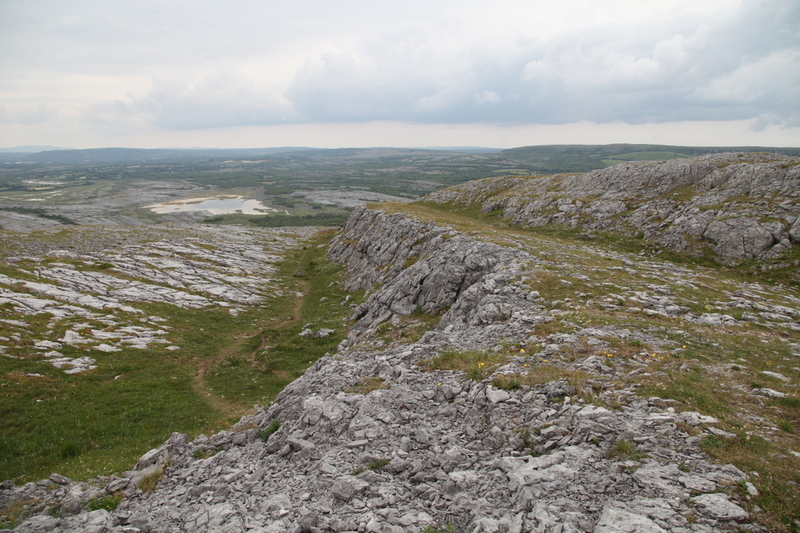 The Burren in the north of Clare has an indefinable pull. I can’t stay away. 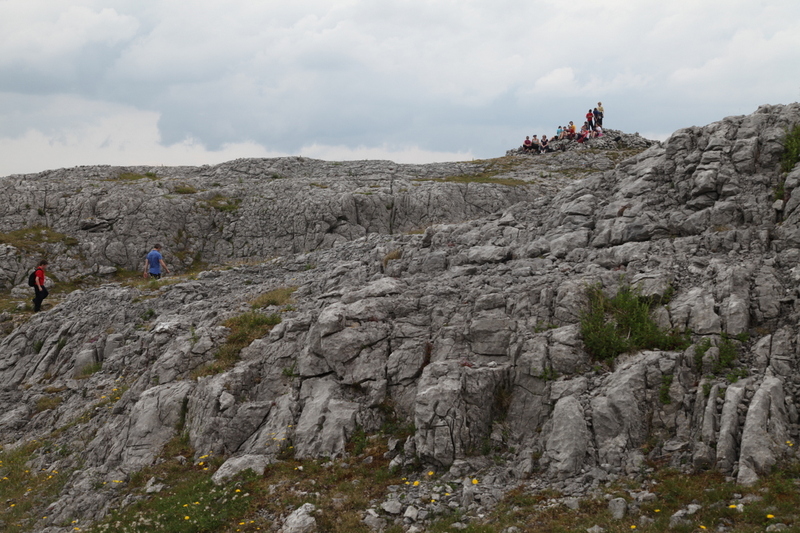 When Geraldine, schoolteacher friend, asked me if I wanted to accompany her and the kids from her school at Doora near Quin on a hike through the Burren, I was a bit unsure. Didn’t sound all that exciting but I have made it a rule not to say no to anything since I’ve been here. So I agreed. I’m really glad I did. The day did not start out too promising. 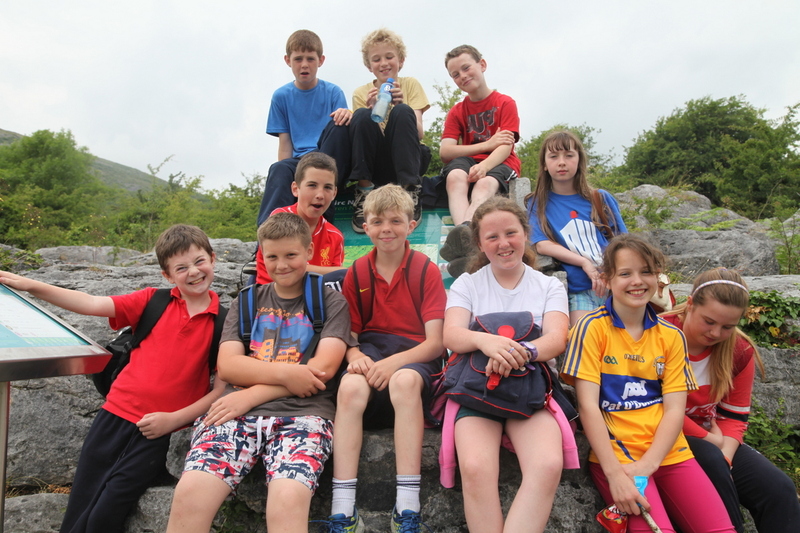 I met Geraldine after a couple of false starts at 11:00am and four carloads of kids from 5th and 6th class with a handful of parents and teachers met at Crag Road, the start of our linear hike. 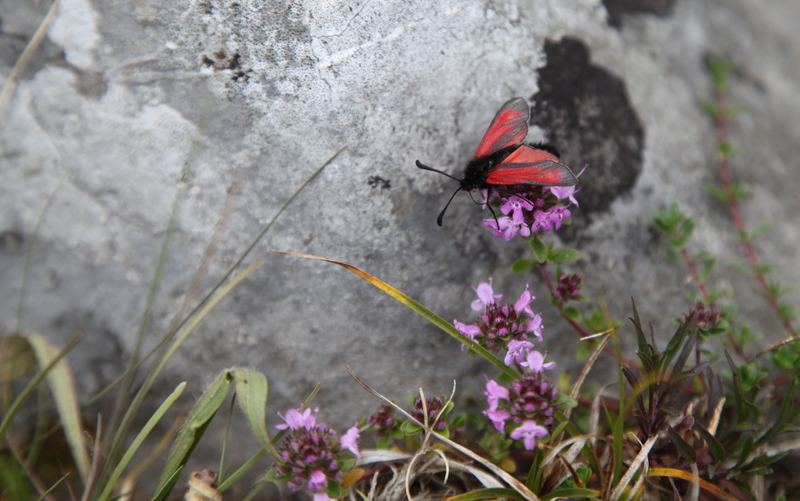 We had hoped to use the National Park free bus service but times did not work so some cars were dropped over to Coolorta Cross, the end of the hike. By 11:45am we were on our way! The weather was overcast but dry though rain was predicted (of course). 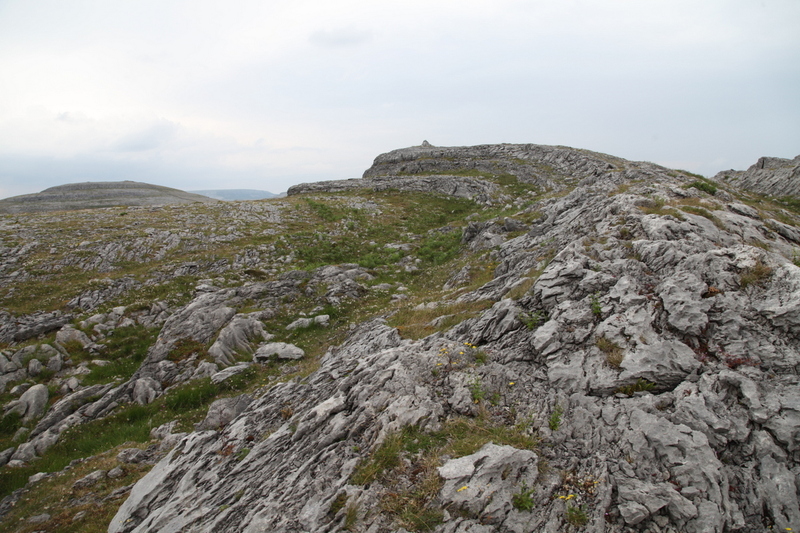 The plan was to head up to Mullaghmore and then across to the next mountain (well they are technically hills) knows as Sliabh Rua. Wasting no time the kids headed out along the trail leaving me and a couple of stragglers in their wake. 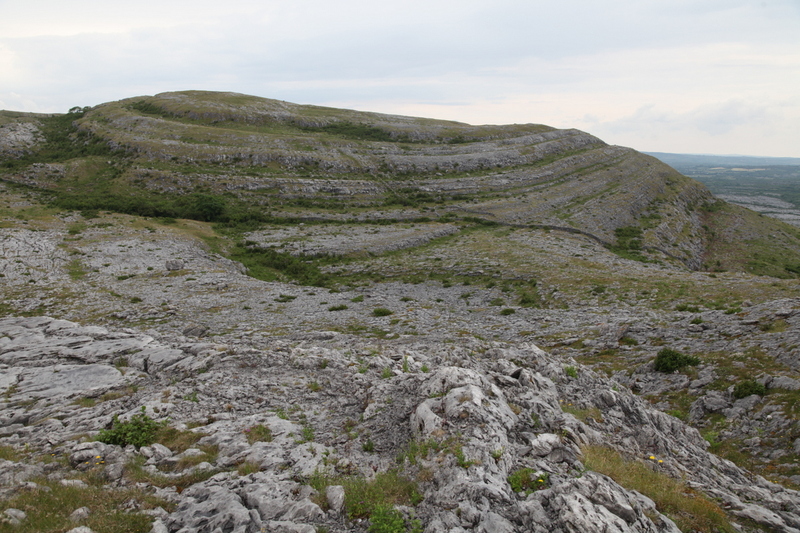 We caught up eventually (well I think they waited for me) and with barely time to catch my breath I found myself giving a talk on the unique geology that is the Burren. 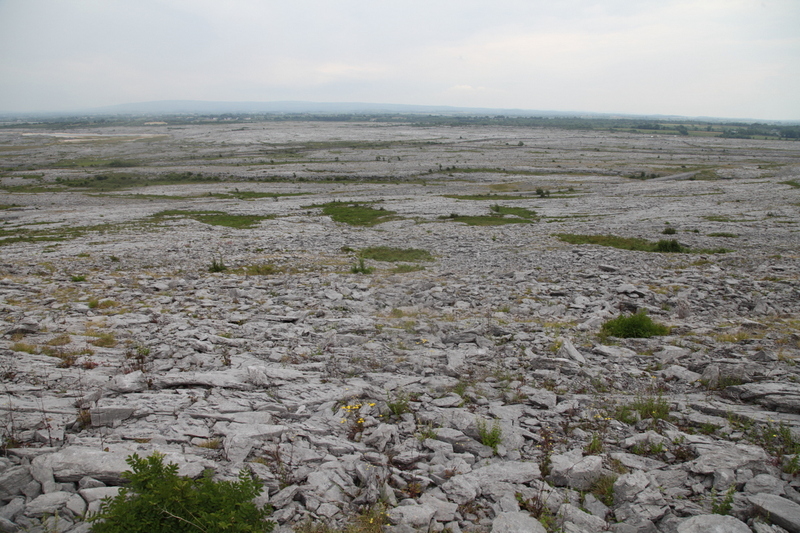 After a month in Clare I was an expert on the Burren geology. Well the kids thought so. 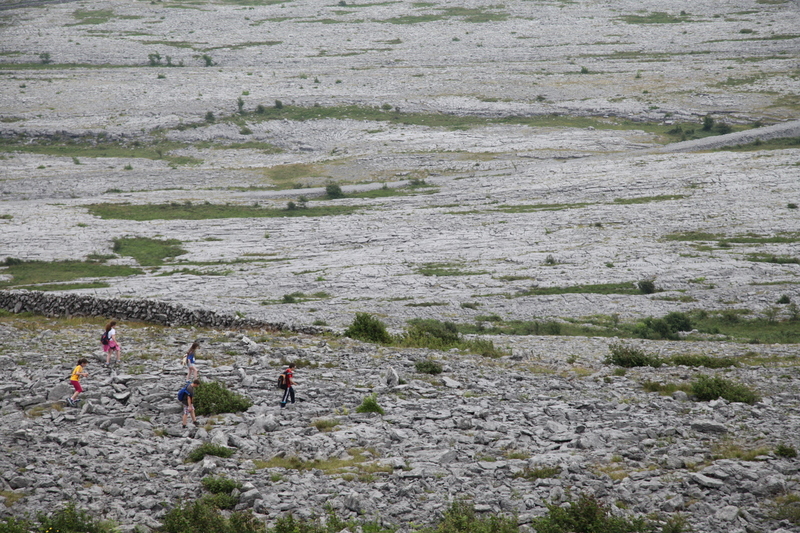 Some of them were surprisingly up to speed while others hadn’t even stepped foot on the Burren before. 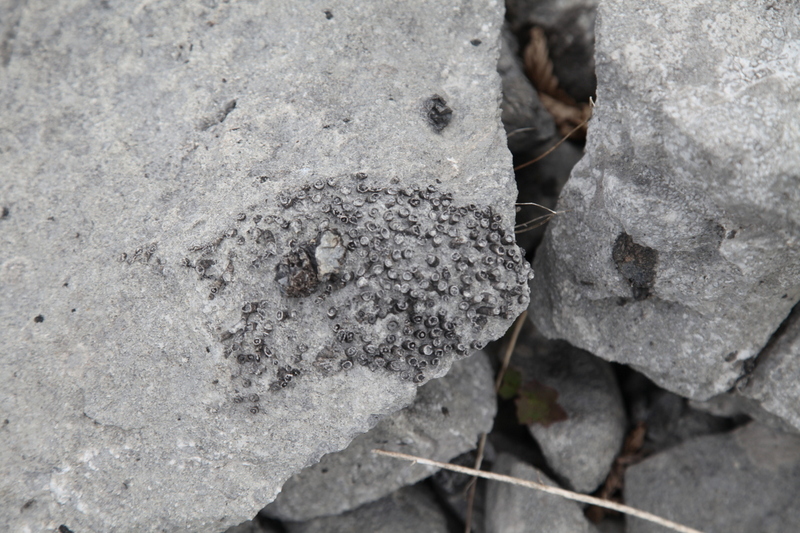 We continued the climb along the ridge beneath the first cliff and I kept stopping to look at the amazing fossils and rock formations and to take photographs so of course we got further behind. By this time I was left with just one boy who delayed me further as I stopped to answer the non stop stream of questions and comments about what he was seeing. It was great to see this unbridled curiosity and his eyes opening to what was around him. Eventually we rejoined the group. As we were on a deadline and I was slowing them down, we agreed they would go ahead and I proceeded at my own pace. I was in awe of the scenery at the top. 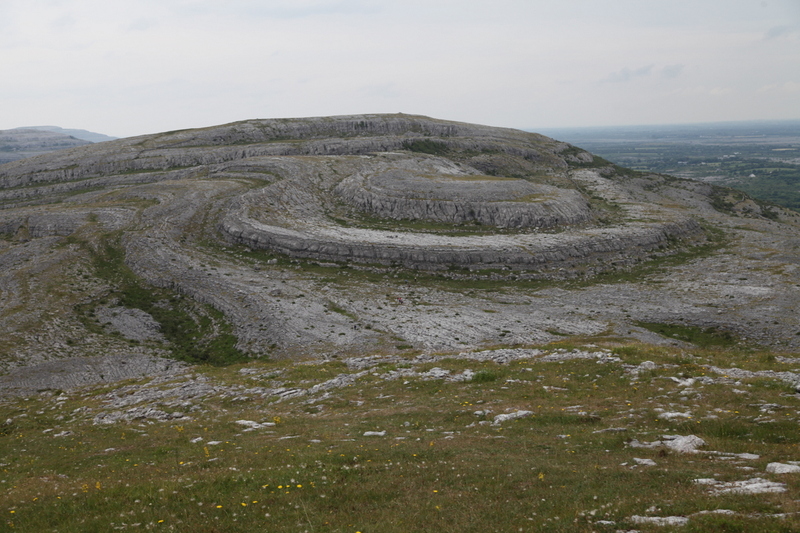 Limestone bands twisted into gentle folds ran in sinuous waves across the barren treeless landscape. With the dull light it had a mysterious mystical quality reinforced by the clarity of the eerie silence. Truly a breathtaking place. 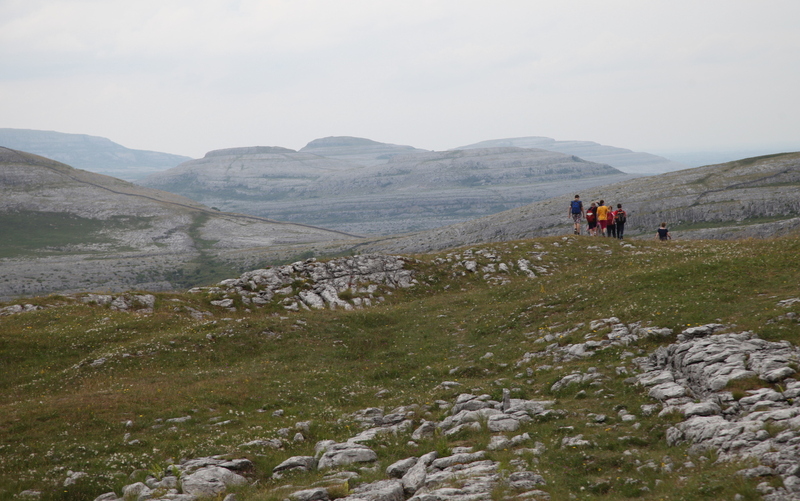 In the distance I could see the group had reached the top of Sliabh Rua and were now proceeding down so I followed the contours around the mountain and attempted to re-join them. Distances are deceptive up here. 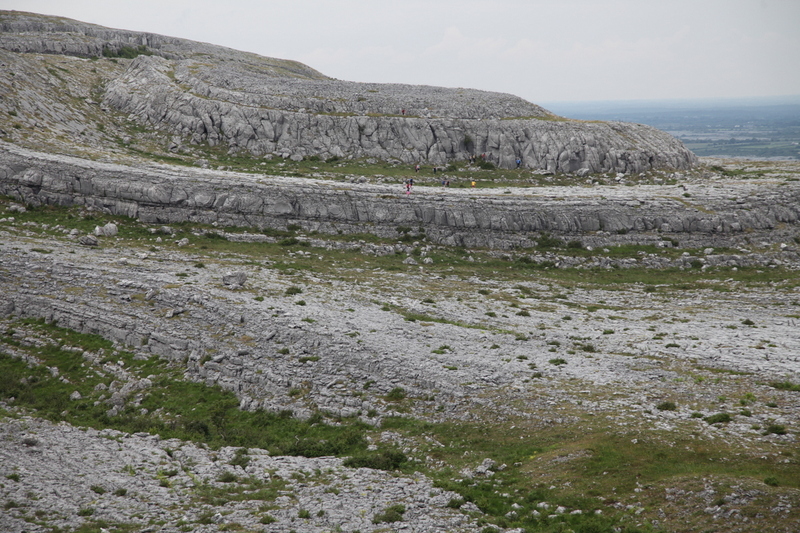 It was a fairly treacherous descent over boulders and scree formed from jagged limestone. 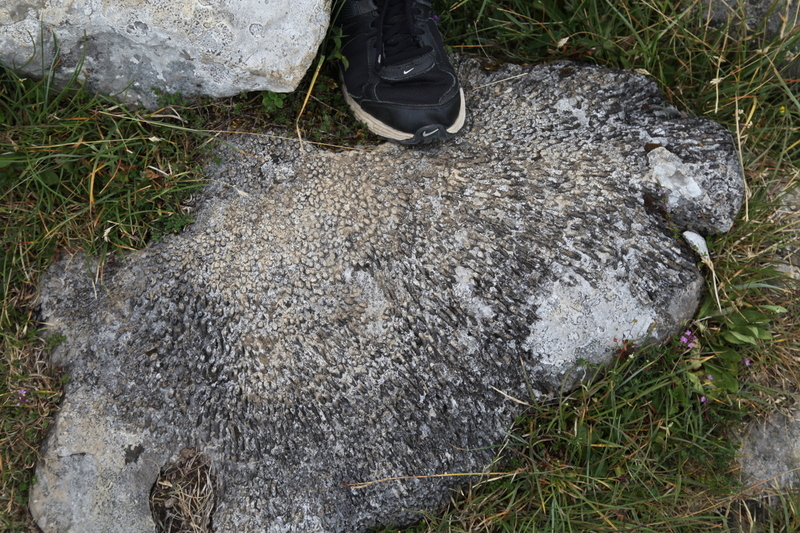 Every foot had to be carefully placed so there was no rushing. I would stop often to breathe in the view. A new vista around every corner. I never did catch them and I arrived at the cars about half an hour after the rest. We were lucky. The rain had held off. I was mightily impressed with the whole day. The kids behaved impeccably and were a credit to their school. 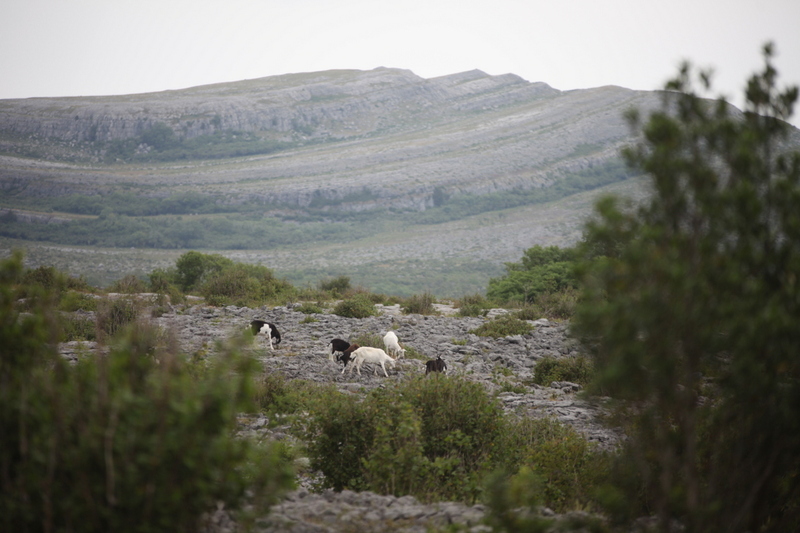 Once they had left, Geraldine wanted to show me more of the Burren, a place she clearly loves, so we headed along another track to a Holy Well. I had never seen one before. 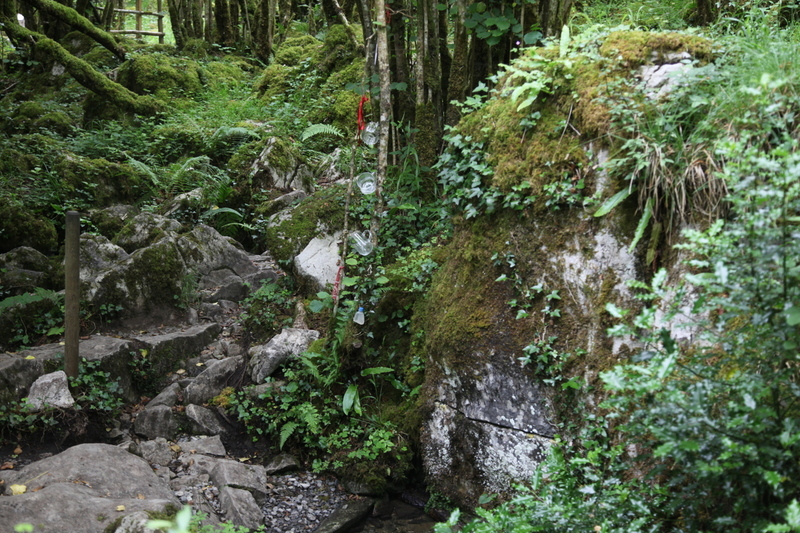 This was a natural spring coming out of the base of a moss covered rock. 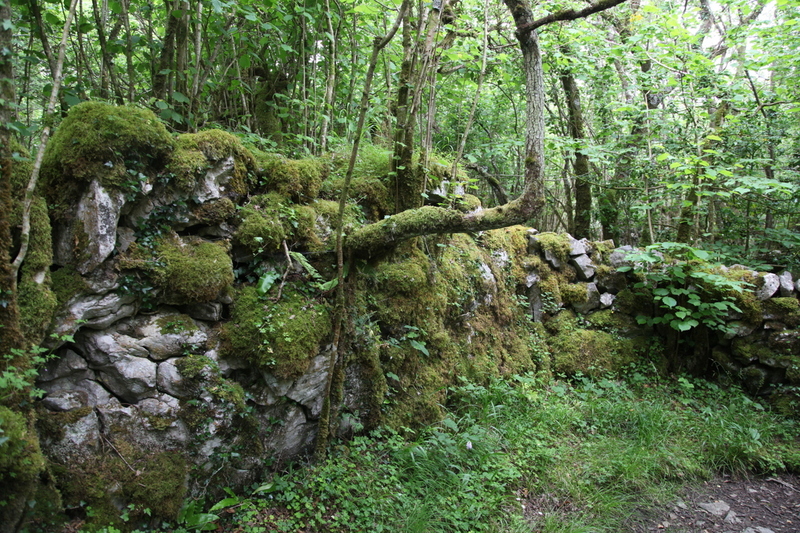 Nestled in a dark cool glade which felt as ancient as it probably was. 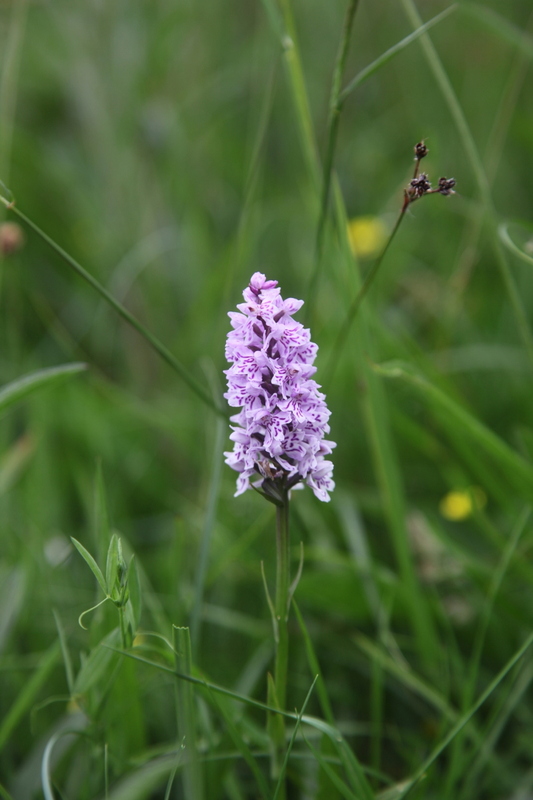 It would not have surprised to see fairies darting about! There were cups hanging from a string inviting you to partake and there were ribbons hanging from nearby branches, perhaps some sort of offering. 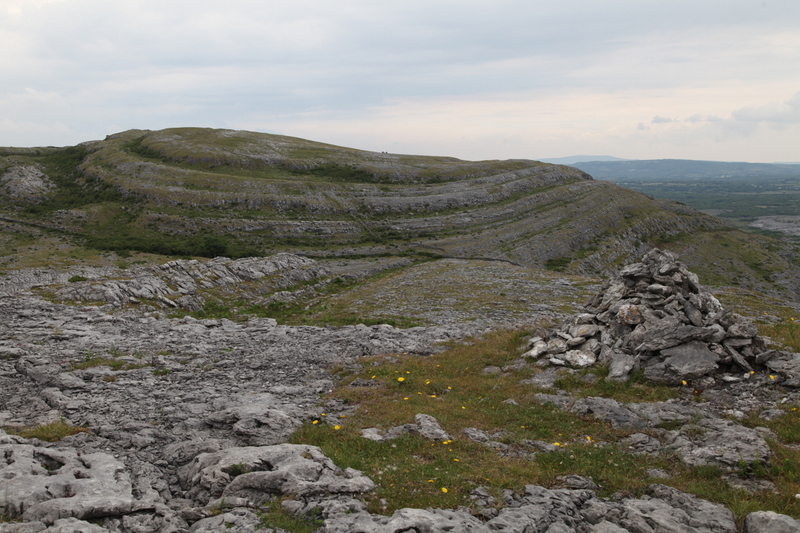 An elliptical walled area a few metres across was apparently an ancient bath which was used for ritual bathing. 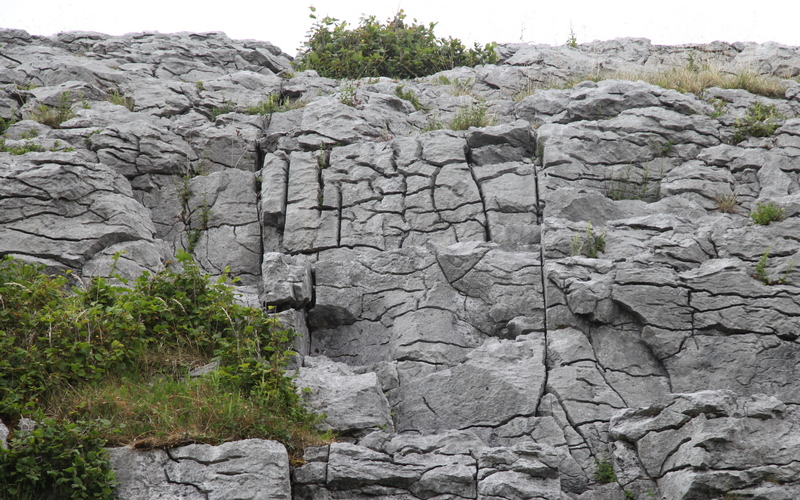 It takes a while to get one’s head around the fact that this place may have been used by our predecessors up to 5,000 years ago. The magic of the place was having an effect. We walked back along the track to see a car driving up the lane. I did not recognise the occupants but Geraldine did. There was P.J. Curtis (the eminent writer/record producer/broadcaster/historian) and Maurice Lennon (fiddling legend from Stockton’s Wing). I was introduced to them and they couldn’t have been nicer. 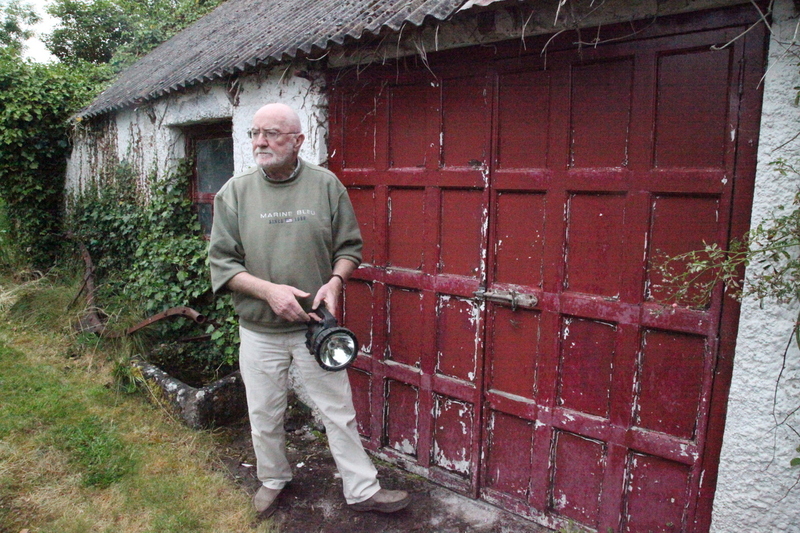 We ended up back in P.J.’s house in Kilnaboy (built in 1770, the year Cook landed in Australia) listening to Maurice play tunes from ‘Light in the Western Sky’ (one of my favourite albums) and then some gorgeous airs including one of his own on his Viola. I had to keep pinching myself. P.J. gave us a tour of his Forge which was full of original equipment. It was the conclusion to a wonderful day. Wow Bob! Great article. 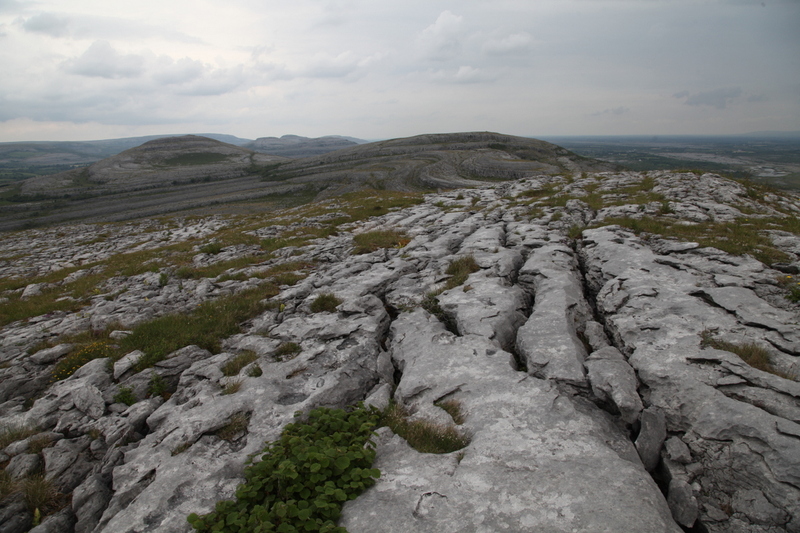 I love the Burren too and it makes me homesick to see those beautiful photos. Imagine running into Maurice Lennon too. 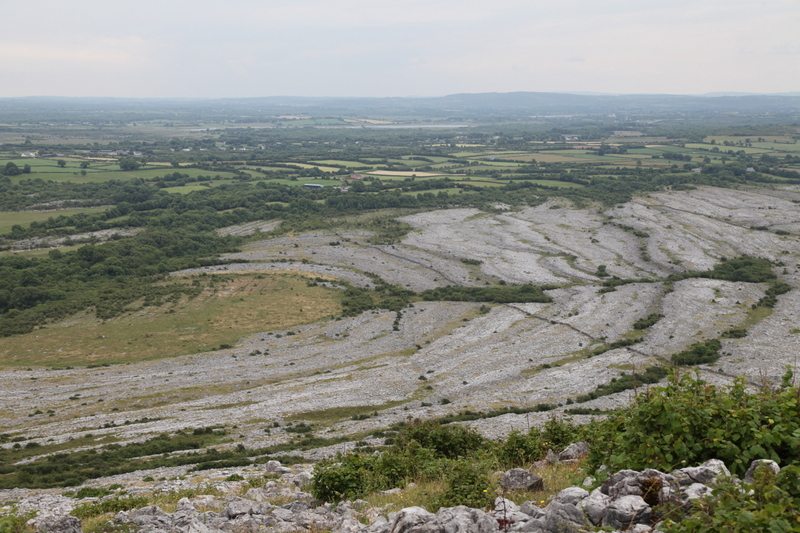 Keep posting about your adventures in Ireland! Very nice article! I had just shared this article on my travel site, I hope you don’t mind. This is a website that let bloggers or travelers to share some great articles or photos about travel, and indexed by attractions. I know you love travel and write a lots of blog post about interesting places in the world, so I would like to invite you to be a member of our community and share your blog post, photos or review. Thanks Sam. 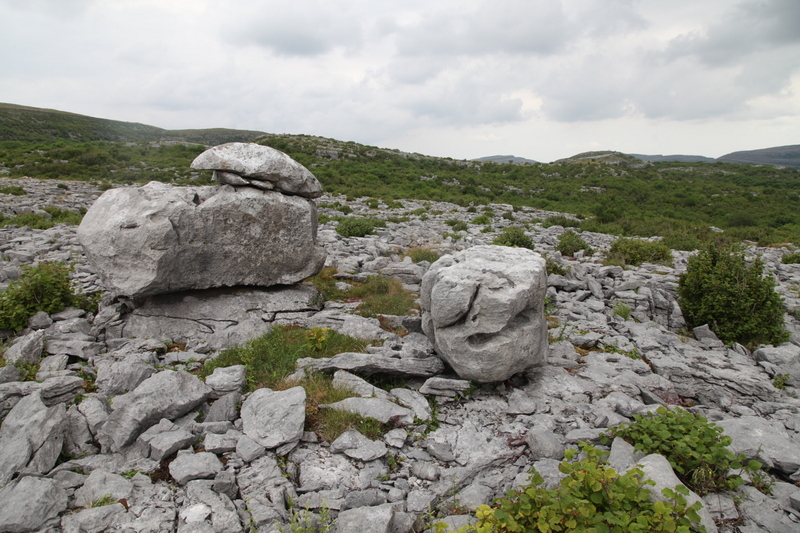 Very happy for you to share this or any other of my blogs on interesting places in Ireland. Best of luck with your site. It looks terrific.